This entry was posted in Celebrating, Commenting/Critiquing, Hoping, Living, Parenting, Working. Just as Billy Collins says, we need to announce the large, unadulterated cowness of ourselves. YES! YES, Len. That’s just it. Love it. Well, I just had to check it out. I did. 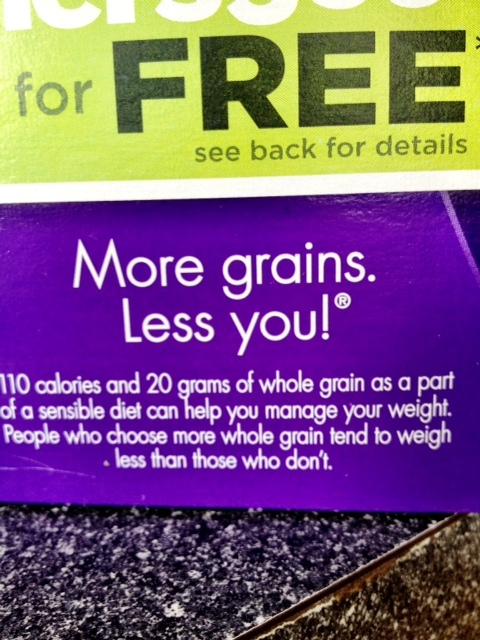 My Cheerios box has no such statement, claim or exhortation. Boy, am I deprived. Not only do I not get that statement, I get none of the inspiration that followed.Thank God you didn’t miss out on any of the inspiration. You vant to kom see my airplane hangger sometime? I still haf lots of yur piktures. What an important post. A joy to see your mind at work. Thanks, Rebecca! And I’m loving yours, though I’m having to read so fast I’m not able to make comments, and I thought a long string of “likes” seemed rude…I can’t wait to have some more time again so I can go back to giving your writing all the attention it deserves! And how are you doing so MUCH these days? I’m impressed!